YOU’LL LOVE TO SEE SOME OF OUR BEST PROJECTS. FFancred is an all-sports-all-the-time social media network, focused on the passion sports fans have for their favorite teams. 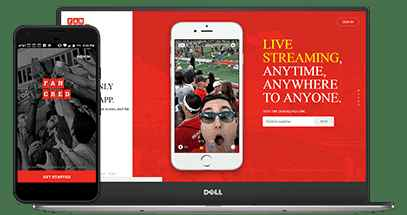 Fancred connects sports fans to one another with posts, photos, videos, live video, and live On-Air broadcasts, creating relationships, communities, and providing a vibrant second-screen experience during live sporting events. eMedicoz is the place to go for Medical students and Doctors to discuss and share clinical cases, muliple choice questions and medical images. 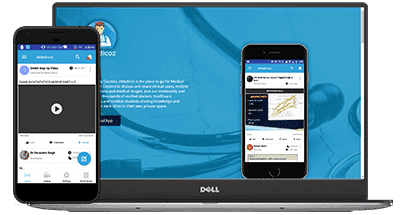 Join our community and connect with thousands of verified doctors, healthcare professionals and medical students sharing knowledge and learning from each other in their own private space. Havells mKonnect is currently having a dealer's web portal where the dealers can see their various reports and place orders. Now Havells is enable the similar functions of the portal on various mobile devices. Its the enterprise mobility app for havells dealers. 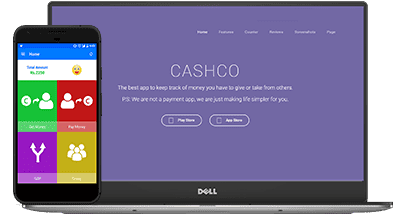 Cashco is a smart two-way intimation app that keeps track of money you have to give someone or take from someone. It simplifies the accounting system and is helpful for traders, roommates, coaches, students, friends or just anyone else. Cash Gain App is the India's First Price Comparison & Cash Back Android app which gives you Rewards, Discount Coupons, and Cash Back on Flipkart, Amazon, Jabong, Snapdeal, eBay, Zovi, Shopclues, Archies, Daily Objects, Lenskart, Basics life etc.